On June 24, run to transform the lives of kids and families! 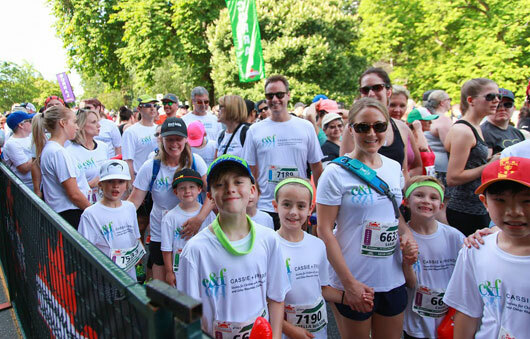 Over the last ten years, Team Cassie and Friends has been running and walking to transform the lives of kids and families affected by all forms of Juvenile Arthritis. This year, join the team on June 24th and help make one of their biggest fundraising events of the year a success. 100% of proceeds will fund research, support, equipment, advocacy and educational events like their annual Family Day. The event is fun for all ages and kids register free! To sign up for the team, click here to register. Please use charity pin codes 18CF5K for 5K and 18CF21K for Half Marathon to receive a registration discount. Out of town? Make a gift, or join Team Cassie and Friends for the Scotiabank Charity Challenge in Toronto on October 21. If you have any questions, please feel free to contact Ivy McCuaig at ivy@cassieandfriends.ca.